Irish Coast Guard Rescue Helicopter 118 airlifted a fisherman from the water this morning around four miles south of Arranmore, Donegal. The rescue crew was backed up by Bunbeg Coast Guard and Arranmore RNLI. Around 10am this morning the alarm was raised by the fisherman who activated a safety device on his life jacket. The man was located by the Bunbeg team and Rescue 118 winched him from the water. He was then airlifted to Letterkenny University Hospital suffering from hypothermia and an injured leg. 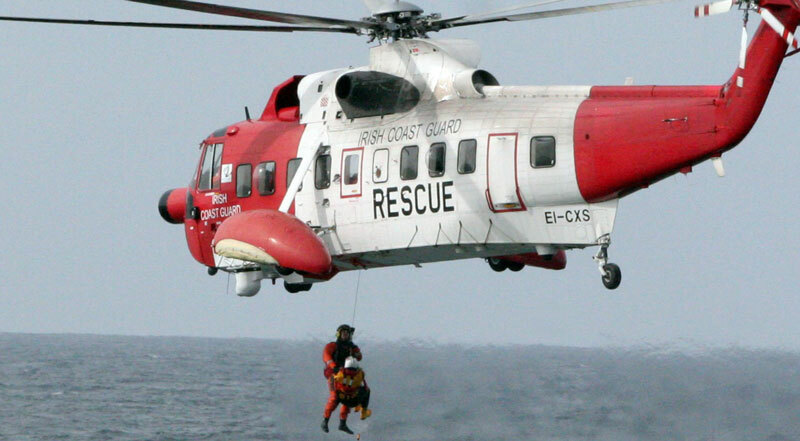 Malin Head Coast Guard coordinated the rescue. 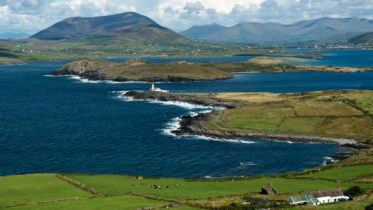 The Fisherman, now known to be from the Burtonport/Dungloe area, was lobster fishing and was the only occupant of a small vessel. The boat has not been located yet and the circumstances surrounding the incident are still unclear. The quick response time of the rescue helicopter and the fisherman’s life jacket and safety device meant the difference in a situation where every minute counts. Be prepared when at sea and always wear a life jacket.